Granite is the most common rock in the earth’s crust, but only a small percentage is of a high enough quality to be used for building stone, monumental stone, decorative stone or dimension stone. Granite is known as an igneous rock, that is, it formed below the surface of the earth by the crystallisation of a molten rock known as magma. When molten, granite magma has a temperature well above 1 000 °C. During this crystallisation process the characteristic chemical composition of all granite magmas produces basically three distinctive minerals common to nearly all granites world-wide, namely feldspar, quartz and mica. On average granites contain about two thirds by volume of feldspar, quartz, and the rest is mica and a smattering of other minerals. For any rock to be properly called “granite”, it must be an igneous rock; it must contain sodium/potash feldspar, quartz and some minor minerals (mostly mica); and its chemical analysis must indicate about 70% silica (of which about 25% will be in the form of the mineral quartz). Anything else, and is not granite. Variations in the feldspars are responsible for most of the textural and colour variations in granite. Those granites that have cooled at a relatively slow rate tend to have large feldspar crystals compared to granites that cooled more quickly; this leads to a conspicuous difference in grain size. It’s not uncommon to find granites with feldspar crystals several centimetres long instead of the usual few millimetres; such granites tell us their magma had a complex and variable cooling process. Feldspar crystals, viewed individually, have the shape of a slightly squashed match box, and the way in which the crystals align themselves in the flowing magma while it cools produces a very important grain or rift in the granite. This alignment, albeit nearly invisible to the ordinary eye, is fundamentally important to the quarryman, because it determines the safe direction in which to split the rock — the same way an axe splits a wooden log along the grain rather than across it. The feldspars can also record in their colours minute variations in chemical composition in the magma. Pure white feldspar, which is a pure sodium feldspar, gives a very pale grey colour to granite. Most mixed sodium/potassium feldspars tend to have pastel shades (mostly creamy pale yellow to light apple green). More rarely, an excess of iron in the magna can create brick red feldspars due to the presence of red-pigmented iron minerals. Feldspar is an igneous mineral, that is, it is stable under high temperatures, but less so at the surface of the earth. It is therefore the first to be attacked by rain water, plant acids and oxygen. In most cases the granite soils produced through weathering are clayey, and stained yellow to reddish by the small quantities of iron present in most granites. Where the weathering process has been very thorough the granite clays are leached to pure white kaolin clay, used, amongst others, in the manufacture of porcelain and other ceramics. Paarl Mountain is a very striking example of a granite mountain and belongs to a group of granites known as the Cape Granite intrusion and was formed about 500 million years ago. The Cape Granite intrusion extends from Saldanha Bay in the north to George in the east. The oval outline of Paarl Mountain traces the sides of a large granite magma intrusion, also known as a batholith — one of many similar intrusions of the Cape Granite. Of all the intrusions found in the Western Cape, Paarl Mountain is the most pristine in its topographic and geological expression. All the other batholiths of the Cape Granite family have to a larger or lesser extent been weathered away. The prominent granite domes on Paarl Mountain were formed through a geological process known as exfoliation. As the surface of the earth weathers, the underlying granite intrusions develop large concentric cracks that peel away like onion skins. Paarl Mountain’s large rocks have therefore not been “pushed up” into their present positions, but rather exposed by natural weathering, erosion and exfoliation. In fact, the topographic prominence of the 645 m high Paarl Mountain is almost entirely the result of the erosive powers of the Berg River. Bretagne Granite is the most common and its feldspar grains are relatively coarse-grained, giving the granite of Bretagne Rock its distinctive appearance. 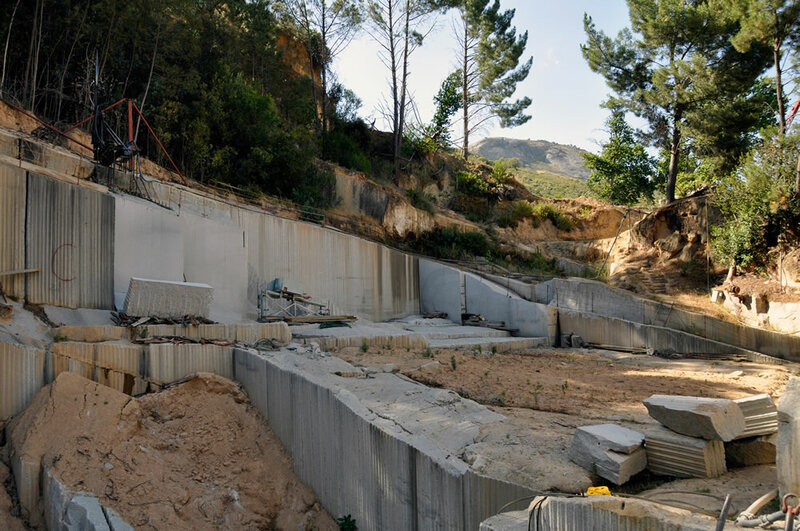 Laborie Granite, known in the trade as Paarl Grey, is found along the southern slopes of the mountain. The granite has medium sized grains and favoured for dimension stone and was once quarried on the farms De Hoop, Laborie and Diamant. Only the former quarry is still active. Paarl Rock is also made up of Laborie Granite. Bethel Dam Granite is a relatively fine-grained variety and occurs near the western shores of Bethel Dam. Montvue Granite is also A fine-grained, but includes conspicuously large individual feldspar crystals. It occurs mostly along the northeastern and northern parts of Paarl Mountain. 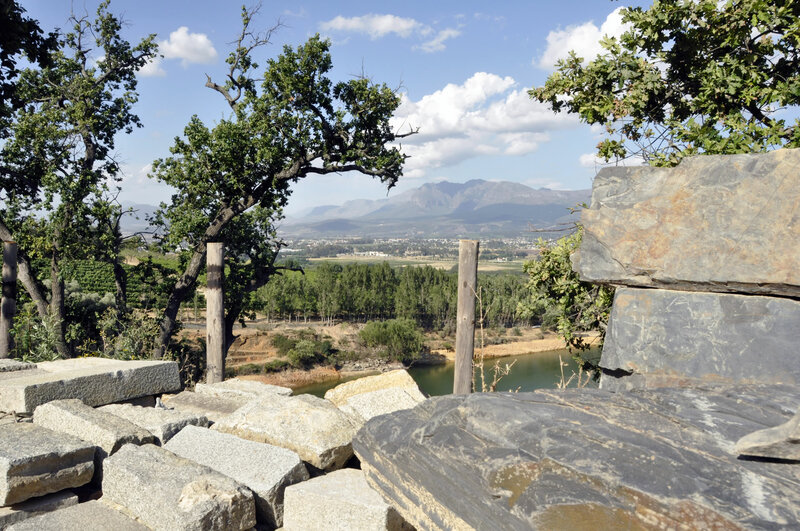 Paarl Mountain’s fifth granite is known simply by its scientific name “quartz porphyry“, and occurs as a number of very narrow fissures or dykes, ranging from the southern end of Paarl Mountain near Zandwyk all along the western foothills of the mountain to north of Hoogstede. These fissures of quartz porphyry are only a few metres wide and in the distant past may have connected the Paarl Mountain granite magma to a Mount St Helens-type volcano way above the magma chamber itself. We can never know this for sure because all of the overlying part of the earth’s crust of more than 500 million years ago has long since been eroded away and no direct evidence remains of a possible granite volcano in the Paarl area. Granite is quarried throughout southern Africa. The very decorative granite of the Vredefort astrobleme, for example, is mined near Parys in the Free State. It was created 2 020 million years ago when a large meteorite hit the earth and the granite magma near the area of impact crystallised into a red granite with black veins. 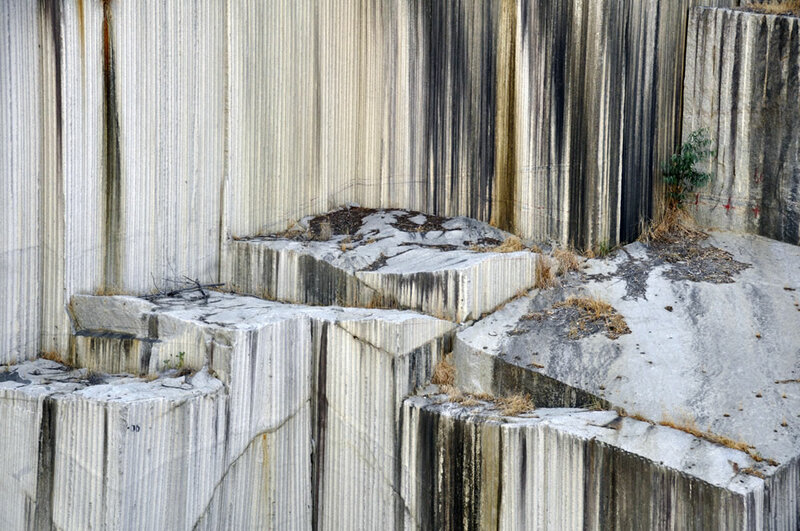 Quarries in Mpumalanga produce a very popular dark grey to almost black “granite” that takes a high polish. In reality it is not a granite at all, but an igneous rock known as norite. In the trade this norite is widely known as “Rustenburg Black Granite” (a salt-and-pepper norite with a uniform very dark grey colour) and “Belfast Black” (a uniform fine-grained, very dark grey to almost black norite). All of these norites belong to the igneous Rustenberg Layered Suite of the Bushveld Complex, a most unusual geologic feature of the Transvaal Highveld that formed more than 2 050 million years ago. A coarse-grained green tinted granite is quarried near Bitterfontein Near Saldanha the Cape Granite produces a coarse-grained pink granite. A century ago the granite quarries near Cape Town produced a coarse grained granite with distinctively large individual crystals of potash feldspar. These quarries have along since closed but the granite can still be seen in the kerb stones lining the city’s older streets.